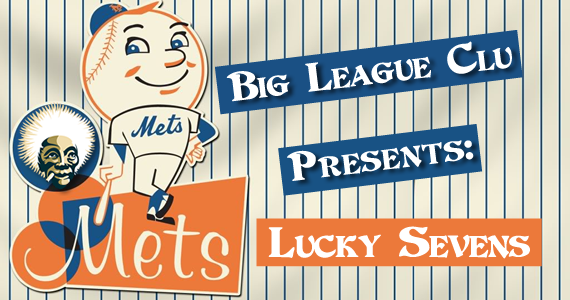 Big League Clu reviews the last week of games for the New York Mets. As baseball season gets into high gear and we enter the dog days of summer, I have returned to Jobu with a daunting task…following the New York Metropolitans Baseball Club, or the Mets, for those of you who don’t know. So far this season, the Mets have really been a surprise to everyone who lives in the tri-state area, myself included. Many people thought they would be bottom dwellers but, in fact, they have clawed their way to a near tie for first place in the NL East! Perhaps there’s a method to Terry Collin’s madness after all… So, without any hesitation, here’s the recap of the Mets doings from this past week. On a hot and muggy Memorial day SP Jonathan Niese (one of the better youngsters on the Mets thus far) didn’t fair too well against Ty Wiggington & Co. He only lasted five innings, and got smacked around by all of the Phillies’ bench warmers. The biggest loser of the game, however, was relief pitcher Manny Acosta, who came into the top of the 9th to try and hold the Phillies, who were clinging to a 5-4 lead. Instead Acosta gave up a three-run home run to Ty Wiggington, who ended up going 3/3 with a HR and six RBI in the game. Manny Acosta, you can take your 11.95 ERA and your glove and go away! Game two fared much better for the Mets. Kudos to their rookie pitcher, who went out there and played like 10 year vet in his big league debut. Jeremy Hefner everyone! Welcome to New York. He became the first pitcher in about ten years to win his first major league game and hit a home run. He also became the first player in franchise history to do the exact same thing I just said, only this time with more emphasis on it. The only thing he ALMOST forgot to do was to touch first base as he rounded the bases. Add in a pinch hit home run from Scott Hairston and the Mets fans went home happy. Now onto the rubber match, game three. For the most part, the game was evenly matched. Philly would score, and the Metropolitans would score too. It was a very close game all the way until we got into the 9th inning. Then entered the “Amazins'” bullpen, where the only thing they’re amazing at is ranking dead last in the National League with a team ERA of 5.40. 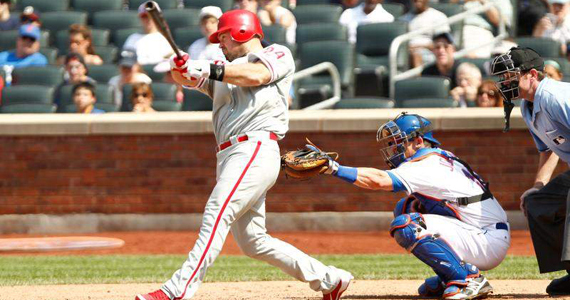 So, six runs, five hits and one error later, the Mets found themselves down 10-3. They did end up making a bit of a comeback in the bottom of the 9th, scoring three runs, but fell short. The Phillies took the game and the series. 5/31-6/4: Santana makes history & the Mets burn ALL the Cards! If you don’t know by now, then you obviously live under a rock or just didn’t watch ESPN this past friday night, when Mets’ ace Johan Santana made team history against the defending world champion St. Louis Cardinals. Santana threw what was to be the first no hitter in franchise history and the first of his career! Congrats Johan..now get that Perfect Game! On a side note, there’s been many comments about this feat throughout the year on this site, and throughout conversations that I’ve had with commissioner Jobu this season. The commish has even thrown in a few jabs at the Mets here and there (he will, of course deny, any of them now) about the Mets’ chances of ever throwing a no-hitter, so let’s revisit some of those shall we? The Mets have been around for half century (they started playing professional baseball in 1962). That’s 8,020 games… 8,020 games! They had 35 one-hitters and there have been seven different pitchers who at one point or another have played on the Mets and ended up with No-hitters/Perfect games for other teams (Phil Humber being the most recent). Now, Johan Santana erases all of that negativity from history and becomes the first pitcher on the Mets to toss a no-no. It didn’t come without controversy though when, fittingly, he faced former Mets OF Carlos Beltrán, who hit a screaming liner that appeared to graze the fair/foul line, which would have been a double. Now, the replay clearly showed it bounced ON the line (last time I looked that’s a fair ball), but the ump called it a foul ball, but you can be the judge of that and watch it here for yourself. Anyway, on the next pitch, Beltrán grounded out to 3rd and the no hitter was still in tact. Santana finished the game with a strikeout on a 3-2 pitch to David Freese, ending up with a with a CG, No hitter, 8K’s and 5 BB”s, a face full of pie and 27,0000 met’s fans going bananas (And one guy who just had to get in on the fun… watch for him in the pile) Met’s win 8-0. The Mets and Cardinals played three more games after that, so lets get to talking about those shall we? In game two, I was interested in seeing how the Cards would come out and play after being no-hit by Santana. It appeared that they were KOed, kaput, down for the count, flatlined or how ever you want to put it. They had no fight in them. This time, R.A. Dickey was on the mound, and he decided that he wanted in on all of the fun that Johan had the night before, so he threw his own gem. He allowed seven hits and struck out nine Cardinals, and the Mets won 5-0. In game three, the Red birds again appeared to have their wings clipped. All of the sudden they couldn’t seem to get any runs. This time, it was the youngster Niese who got his chance at redemption after getting shellacked by the Phillies earlier in the week. He took full advantage, throwing 6 innings, allowing 6 hits, 0 runs, and striking out ten! Again the Cardinals had nothing, as they managed only one run. The Mets had won three in a row, but could they sweep the Cardinals in a four game series for the first time in their history? The answer was no. Allen Craig intervened and said “Not so fast!” Craig was the main cog in the Red birds attack, hitting a game-changing home run in the top of the 8th inning off of that fantastic Met’s relief pitching. The Mets lost this one 5-4. The main culprit behind this loss was none other than journeyman Jon Rauch who has lost five straight decisions (3-5, 4.76 ERA). 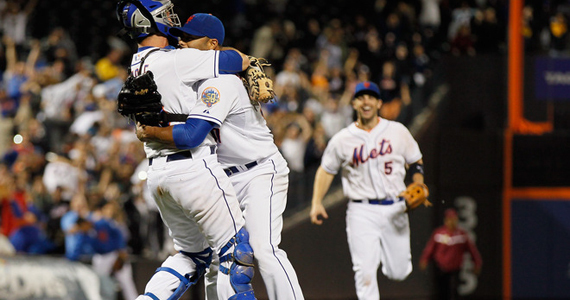 All in all the Mets finished their eleven game home stand with seven very big wins. They have a difficult road trip ahead of them, as they first head down to our nation’s capital to play Washington, before going back up to NY to play some interleague baseball in the Bronx against the New York Yankees.